An arctic front remains Saturday morning after lake effect snow caused delays on the road and canceled more than 300 flights on Friday. Friday's winter weather advisory expired at 9 p.m. for Cook and Will Counties, but snow still continued to fall in some areas. 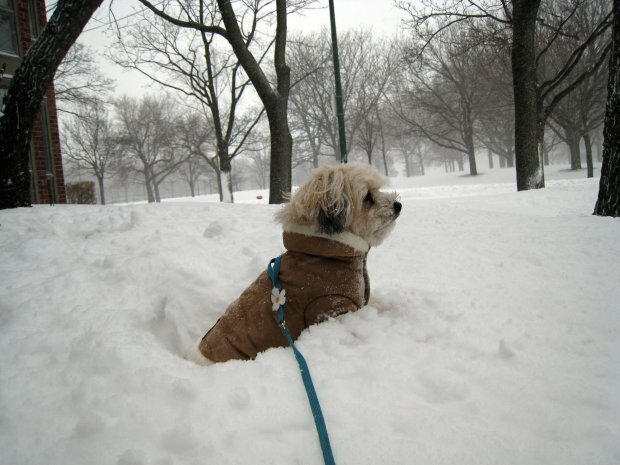 Chicago O'Hare airport reported about 1.5 inches of snow. Other areas reported similar amount ranging from one to two inches. Chicago's Department of Streets and San reported that 183 plows were still clearing roads at 8 a.m. Saturday. On Friday, more than 75 plows were deployed on main streets and Lake Shore Drive as flurries started in the city just after noon. Just before 2 p.m., the number of plows had more than doubled. Chicago airports are back to normal operations Saturday morning, but on Friday snow caused several delays and cancelations at both O'Hare and Midway airports. At 8:30 p.m., O'Hare reported delays of 90 minutes for flights and more than 300 flights canceled. Midway reported delays of 30 minutes and only a few cancellations. The metro area will become mostly sunny by Saturday afternoon, but temperatures will feel like they are in the single to subzero range as a result of the wind chill.